Explanation: Remember when the Moon was young? It was just last Monday. On May 9th, this slender crescent Moon was recorded at a tender age of 34 hours and 18 minutes. Well, OK ... when calculating the lunar age during a lunation or complete cycle of phases - from New Moon to Full Moon and back to New Moon again - the Moon never gets more than around 29.5 days old. Still, a young Moon can be a rewarding sight, even for casual skygazers, though the slim crescent is relatively faint and only easy to see low in the west as the sky grows dark after sunset. 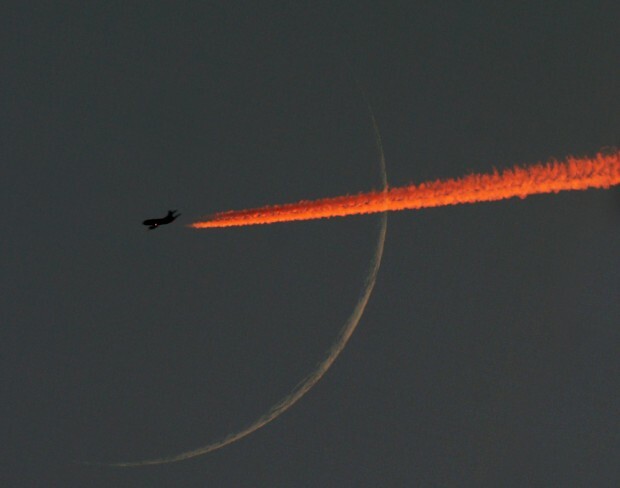 Sighting this young Moon last Monday, lucky astronomer Stefan Seip was also treated to a very dramatic telescopic view of an airliner flying in front of the distant sunlit crescent. 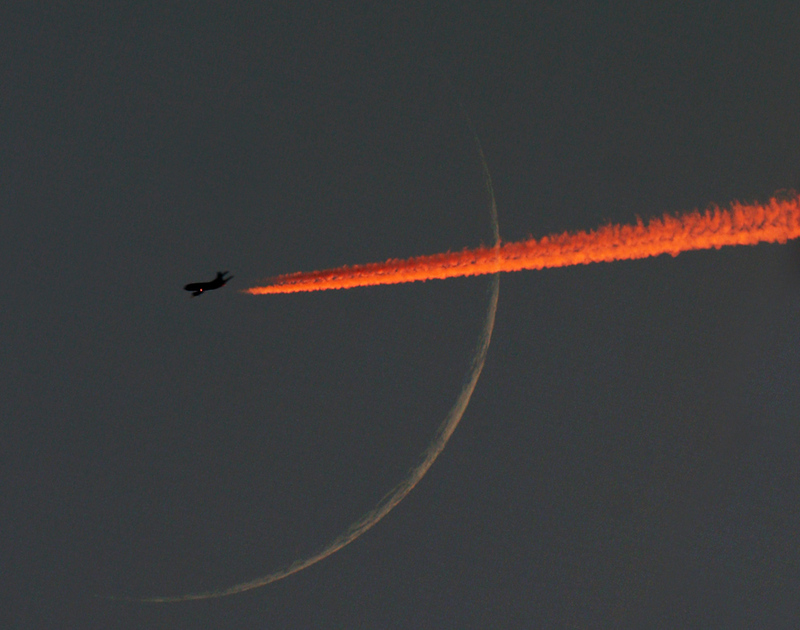 At a high altitude, the jet's stunning contrails reflect the strongly reddened light of the Sun setting below the western horizon.